Interior Minister Ahsan Iqbal on Wednesday said that the economic benefits arising from the China-Pakistan Economic Corridor (CPEC) are similar for both China and Pakistan. 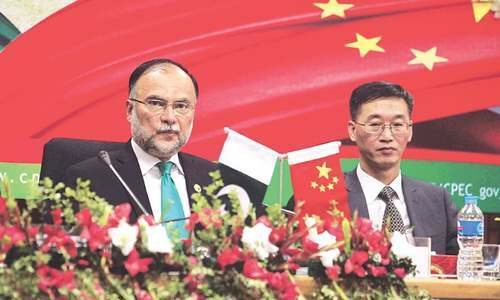 Speaking during his meeting with a Chinese security delegation in Islamabad, Iqbal said CPEC has played a significant role in Pakistan's economic progress in past three years. He said Pakistan-China relations will further strengthen with the completion of CPEC projects. Promotion of security cooperation between the two countries and matters related to providing security to individuals working on CPEC projects were discussed during the meeting. The meeting resolved to further strengthen cooperation between the police forces of Beijing and Islamabad. "Chinese workers working on [CPEC] projects within Pakistan is a matter of pride for us," Iqbal remarked during the discussion. He said Chinese workers are being provided complete security in Pakistan. A Special Security Division (SSD) has been set up to provide security to Chinese nationals working on CPEC projects, the minister observed. "Pakistan and China will work together to foil the conspiracies against CPEC," he said. The minister suggested that Pakistan and China should collaborate to secure the former's western border. Over 9,000 Chinese nationals are currently working under CPEC in Pakistan, Senator Mushahid Hussain Sayed had revealed last month. 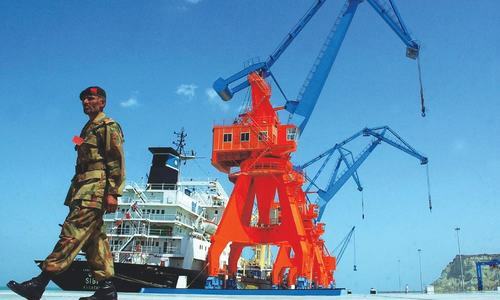 The government has deployed 15,000 military personnel, as part of the SSD and Maritime Security Force (MSF), to protect projects under the umbrella of CPEC. 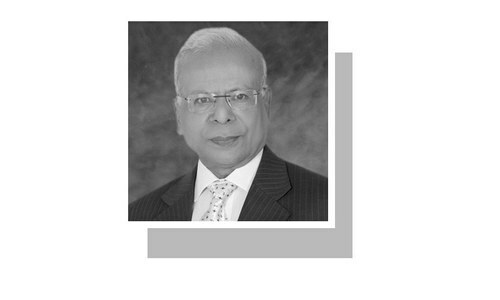 CPEC plan lost in frivolous chatter? Will the toll tax on using the highways go to Pakistan? If that is so, then the division is fair. How can they be receiving similar benefits from CPEC when Pakistan only gets 9% Profit while China takes home 91%, I'm no mathematician, something is not adding up here. @SHAHID SATTAR also toll tax has to be proportional to export value. 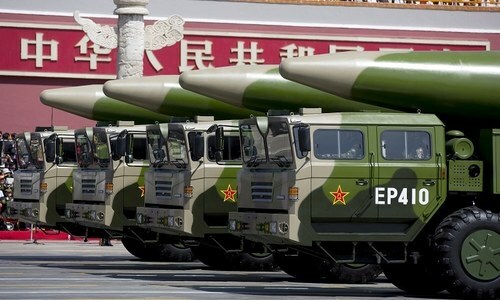 Exporting a billion dollar per freight truck vz a million dollar per freight truck. Toll tax has to be proportional.